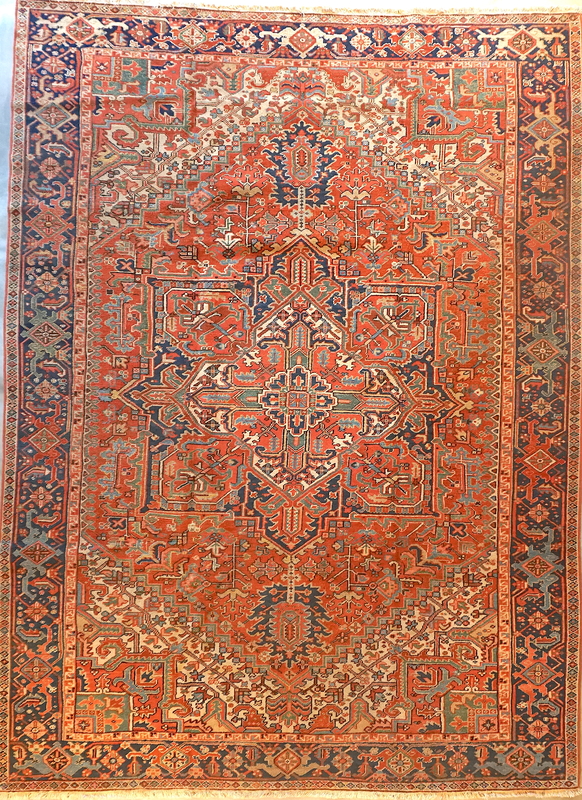 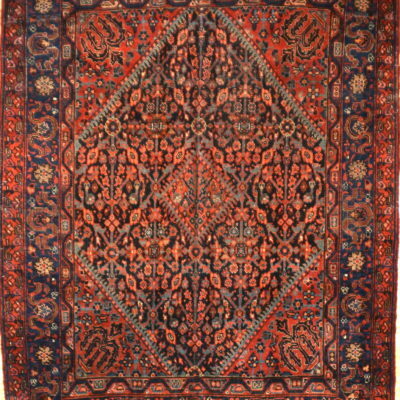 This is an antique hand knotted rugs from the infamous village of Heriz in northwest Iran. 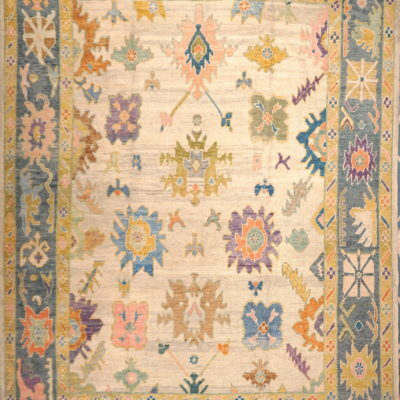 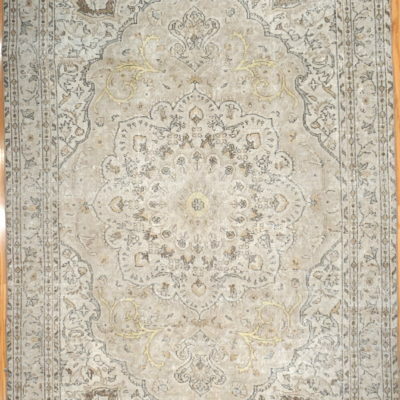 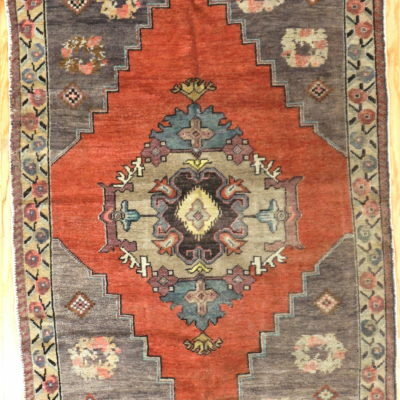 The rug has a traditional geometric central and corner medallion design. 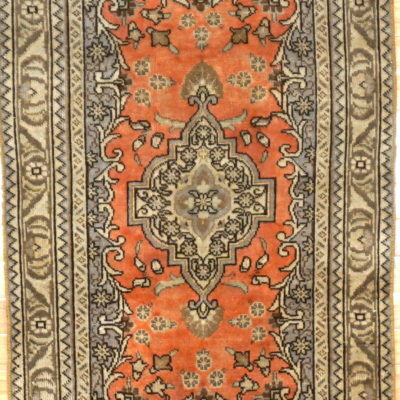 It is made with natural wool colored with natural dyes on a cotton foundation. 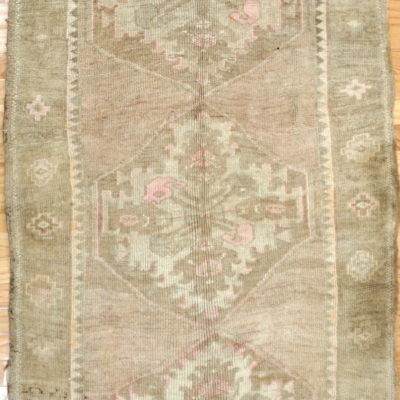 This rug in very good condition.